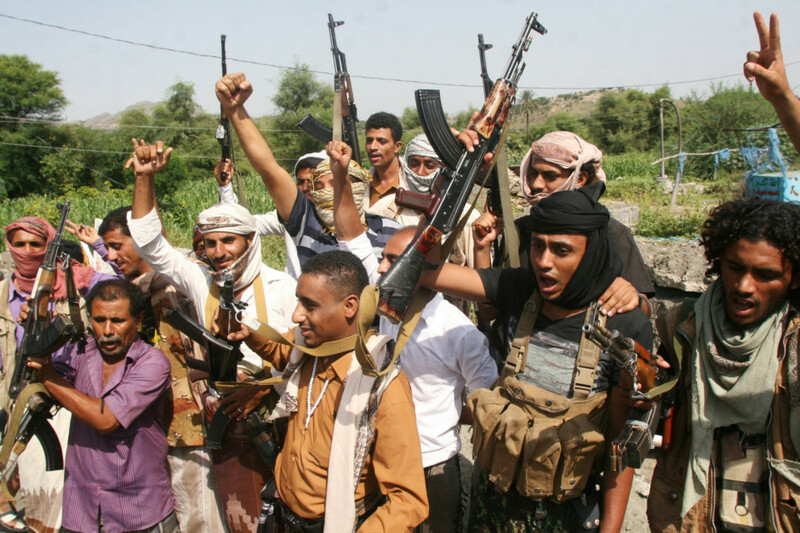 Al Mukalla: Yemeni army troops and allied tribesman have partially broken a sieged imposed on Taiz by Iran-backed Al Houthi militants, according to local army commanders and residents speaking to Gulf News. Several days ago, government forces in Yemen’s third lartest city unleashed a major military offensive to push rebel forces out of Taiz and put an end to the more than a year of siege which has brought the city to the brink of starvation. “By clearing the mountain of Han, we can officially say the siege has been broken and we are working on security the western side of the city,” Colonel Mansour Al Hassani, a spokesman for the Military Council, told Gulf News on Sunday. Officials say experts that specialise in detecting explosives will be deployed to search for landmines planted by Al Houthis who fled. Al Houthis prevented critical humanitarian and medical supplies in through its multiple checkpoints surrounding the city. Al Hassani said civilians would be allowed to use the road Sunday or Monday after ensuring its safety. Residents would be able to use the road to bring in critical food and medical supplies. “We want to make sure that civilians will not be affected by raging clashes in the area. We have finished the first phase of the plan by partially breaking the siege,” he said. The relief was short-lived after Al Houthis launched a counter-attack and regained control of the area. Al Hassan says Al Houthis now are too exhausted and their arsenal depleted for them to be able to retake the area. “We have learned from our mistakes in previous battles,” he said. At least 100 Al Houthi militants and allied fighters (supporters of ousted Yemeni president Ali Abdullah Saleh) have been killed and many others captured. Meanwhile, local health officials say that with the opening of the Aden-Taiz road, international aid organisations should start sending aid convoys into the city immediately. “It is like opening the door to paradise,” Mohammed Al Qubati, head of the Medical Committee told Gulf News. “We need oxygen cylinders, fuel for power generators and vital drugs,” he said. International aid groups have repeatedly blasted Al Houthis for blocking aid delivery into the city. Many civilians have died in local hospitals as a result of not receiving the proper medical support.